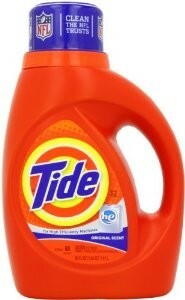 Amazon has the Lower - Tide Laundry Detergent, 50 Ounce (Pack of 2) at $11.38, Free Shipping if you buy $25+. UPDATE: Now clip the $1.50 coupon on the page to get it for even less! Click Shop Now then select Subscribe and Save. Cancel your subscription at any time.